Spokane Guilds' School & Neuromuscular Center, a non-profit organization that serves children ages birth to three with developmental delays and disabilities, is now Joya Child & Family Development. Joya's new name and brand coincides with an exciting period of change happening within the organization, including the investment in a new home that will allow them to accommodate an increased need for their services. Joya purchased the former St. Joseph Center Family Center at 1016 N. Superior in the University District in 2017. With plans underway to build a larger facility on that land in order to serve as many children and families in Spokane County as possible, Joya's leadership recognized the need to better engage and connect with the broader community. The rebrand is a strategic decision to bring greater awareness around the life-changing program Joya provides and better reflect the joy, positivity, care and experience the staff delivers to children and families. The name also reflects the organization's current period of expansion and its plan to increase its impact in our community. New screening protocols being used by primary care providers are identifying more children with developmental delays, increasing the need for the type of vital services Joya provides. Joya currently is able to serve about 300 children with their existing staffing and facilities, but their new building and increased staff will double enrollment to nearly 600. The name Joya Child & Family Development, is inspired by the word 'Joy' and has roots which mean 'jewel,' 'gem' or 'treasure.' It was inspired by the organization's conviction that each child is a person to be discovered, revealed and treasured. 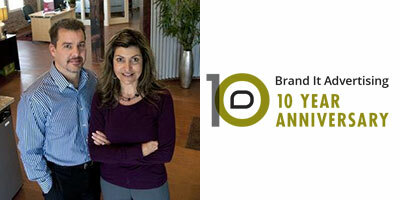 Brand It Advertising is celebrating ten years of marketing success. The agency was founded in March 2009 by owners Dan and Lisa Mathews and has grown to include a 13-employee team located at its Sprague and University location in Spokane Valley. In its ten years, Brand It Advertising has accomplished several major milestones including expanding from a handful of local clients to a portfolio of clients spanning the U.S. in a variety of industries; adding expansive digital marketing capabilities; and adding an In-house audio and video production and a dedicated web development team. Established in 2009, Brand It Advertising is a full-service advertising agency in Spokane Valley, dedicated to planning, creating and handling advertising and marketing for a variety of clients. Agency services range from print, TV, radio and digital advertising to public relations, web design and development, and SEO. 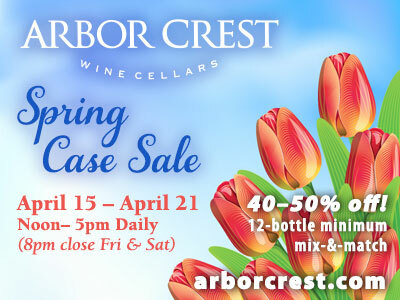 For more information, visit the website at branditadvertising.com. YWCA Spokane invites the community to attend their free, annual Stand Against Racism event held Friday, April 26, from 11:30am-1pm at Empire Health Foundation's Philanthropy Center, 1020 W Riverside Ave in downtown Spokane. This month, 40+ YWCA agencies across the nation will host public events that engage in open and honest dialogue that confront stereotypes and bias as a community. The goal of the annual event is to unite our community in a bold demonstration that delivers a clear message: we are on a mission to eliminate racism. Each event includes opportunities to learn what community members can do as individuals and as a collective. This year, YWCA Spokane's conversation will align with YWCA USA's national theme: No Hate. No Fear. Immigrant Justice is Racial Justice. In addition to bringing awareness to the racism immigrants experience, three immigrants, living in Spokane, will have an opportunity to share their personal experiences. Additional time will be provided for a panel discussion and a question and answer session. During the event, YWCA Spokane will encourage the community to join their pledge to stand against racism by signing a pledge banner which will display at YWCA Spokane's office. Community members will also be encouraged to sign YWCA USA's pledge available at ywcaspokane.org. The Spokane Home Builders Association presents the 43rd Annual Spring Spokane Home & Garden Show to be held this Friday, April 19 through Sunday, April 21 at the Spokane Convention Center. The show is focused on building, renovation, landscaping, design and decor. New and returning exciting highlights have been added for the 2019 show. Keynote speaker is Taniya Nayak, popular HGTV host. Nayak will be meeting the public on Friday at 3:30 as well as Saturday at 1p & 3p and presenting her seminar titled, 'Inspired Design'. This year's show also features 'Barrels & Brews' on Friday evening from 5-8p. The show also features great prizes, including an Enter to Win Grand Prize: Dynamic Decks is providing the winner with a brand new deck; with patio furniture courtesy of Jacobs Custom Living. Total package is valued over $15,000. 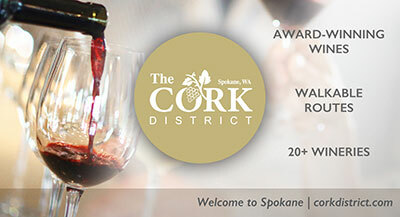 For additional show information, hours and admission, visit www.spokanehomeshows.com or find them on Facebook. Sexual Assault Action Week takes place April 15-18 at Eastern Washington University on the Cheney campus. Women's and Gender Studies and the Women's and Gender Education Center will have Deborah Parker as keynote speaker for this observance on Tuesday, April 16 as the keynote speaker for this observance. This event is free and open to the public. The Keynote Speech: Indigenizing Social Justice: Sexual Assault Activism and Human Right runs from noon-1:30pm at Monroe Hall Room 205 at EWU in Cheney. There will also be a workshop: Activating our Inner Voices to Create Social Change from 2-3pm at the same location. Deborah Parker is a member of the Tulalip Tribes where she served as Vice Chair of her Council. During her tenure as Vice Chair, Deborah became a nationally recognized advocate and activist for the rights of women, children and Indigenous Nations. She played a prominent role in the passage of the Violence Against Women Act and helped lead other critical legislation needed to advance education, social justice, environmental protections and foreign policy. Deborah currently serves as the Vice Chair of the National Our Revolution Board and is a Board of Trustee for the National Indigenous Women's Resource Center. More SAAW events planned by Health, Wellness & Prevention are taking place all week. For more information, visit ewu.edu/wgs.